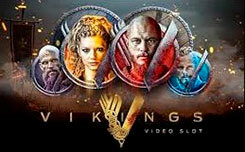 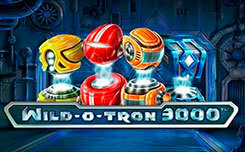 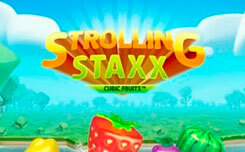 The company NetEnt has released another release of one of the most popular slots. 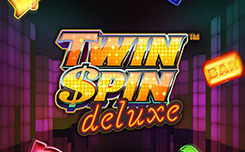 This time the choice fell on the slot Twin Spin, the new name Twin Spin Deluxe. 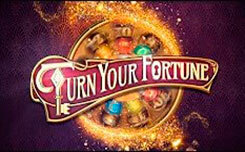 What’s new in the updated slot? 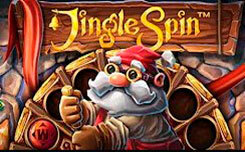 The first thing you notice is the addition of the new Cluster Pays feature, many players have already seen this feature in slots like: Shangri-La: Cluster Pays, or Aloha. 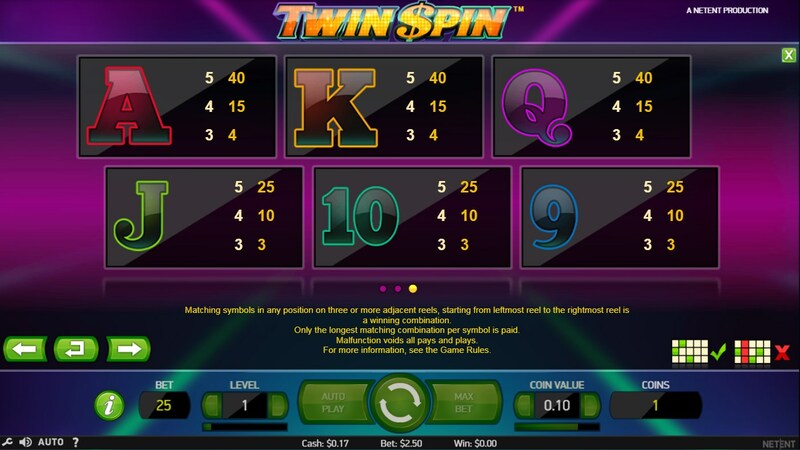 The essence of this function is that there are no fixed lines in the slot, and the winning combinations are 9 contiguous identical symbols. 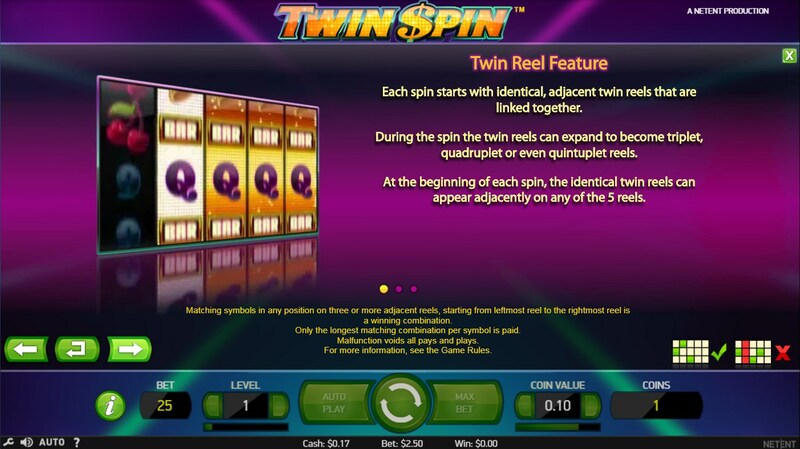 However, there remains one function that is specific to the symbols of the Twin Spin slot, this is the Twin Reel function, where at least two reels will produce a group of identical symbols. 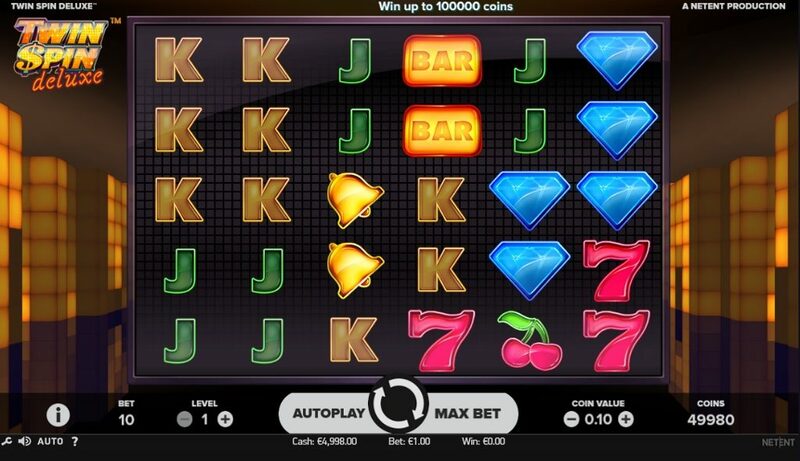 The design of the slot remained unchanged, it’s still the same classic video slot with modern graphics. 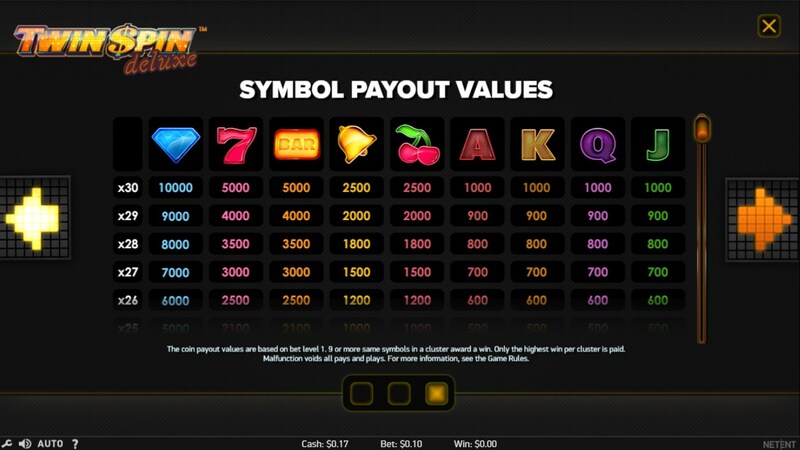 On the reels you can meet already familiar symbols A, K, Q and J they are symbols of low value and pay from 5 to 1000 game coins. 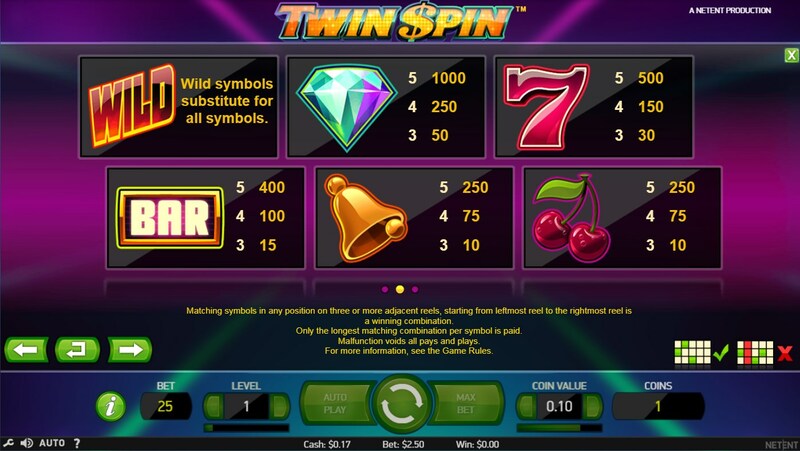 Cherries, bell, BAR, sevens, diamonds are upper-value symbols, they pay 10 to 10,000 coins. 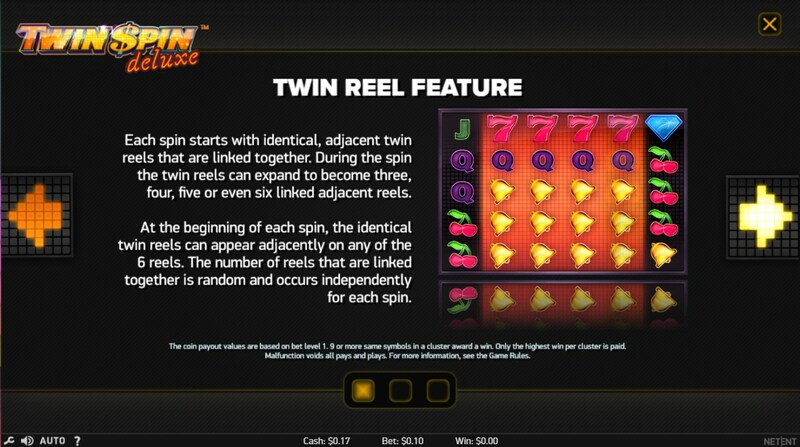 With each spin, function Twin Reel will be active, so the two drum will create the same contiguous characters, but in no particular order, he can choose 3, 4, 5 or 6 drums, which will display the same characters, that help you get a good combination. 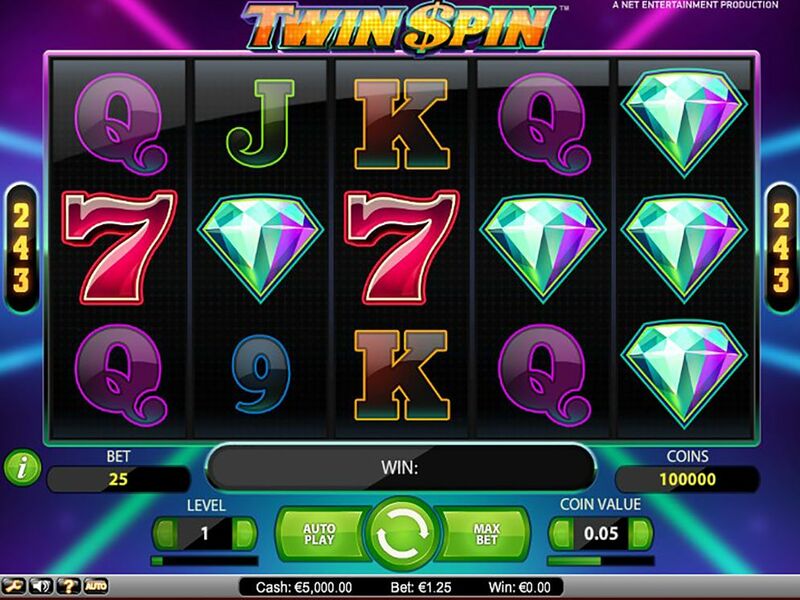 Making a small conclusion, we can say that Twin Spin Deluxe is very similar to the original slot, but it received an additional game drum and a new game engine with the Cluster Pays function, which is sure to appeal to many players.